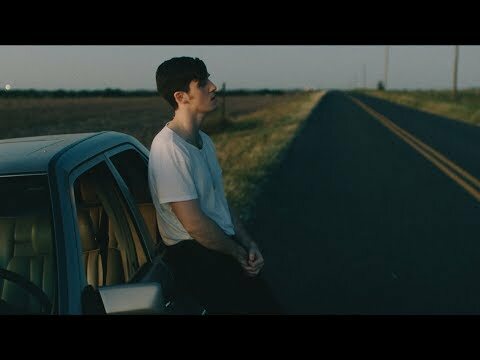 Ari Staprans Leff (born August 8, 1994), known by his stage name Lauv, is an American singer and songwriter. Leff was born in San Francisco, in 1994. As a child, he was interested in music and took piano and viola lessons before learning how to play the guitar at the age of 11. At the age of 14, before he ever had any sort of relationship, he was obsessed with writing love songs and breakup songs. Shortly after, Leff adopted the stage name Lauv, Latvian for 'lion' (lauva). This is a nod to his mother's heritage; his first name, Ari, meaning 'lion' in Hebrew; and to his own zodiac sign, Leo. Then, while recovering from a break-up in 2014, he revealed his feelings through co-writing "The Other" with Michael Matosic. This was a fusion of rhythm and blues and indie-pop with influence from jazz guitar. He felt that the song was special to him, so he did not want to give it up to another artist. He released the song under his stage name. The song gained blog attention and went viral, peaking at number three on blog aggregator Hype Machine, and hitting the Global Top 100 on Spotify. On May 19, 2017, Leff released the single "I Like Me Better", an up-tempo track which also achieved popularity. The song was inspired by his relationship which started two months after he had first moved to New York City to further his studies. In the same year, he headed his own Late Nights, Deep Talks tour in which he performed in eight cities across the United States. The tour began on May 23 in Los Angeles and concluded on June 7 in New York City. On July 9, he also performed in Summerfest in Milwaukee, Wisconsin. It was announced on September 4, 2017, that Leff would be joining Ed Sheeran as the supporting act on his Divide Tour in Asia. Several of Ed Sheeran's Asian tour dates had to be cancelled or rescheduled as a result of injuries sustained from a bicycle accident, but Leff went on to proceed with promotional tours in cities such as Manila, Philippines and Jakarta, Indonesia, officially kicking off the Divide tour with Ed Sheeran in Singapore on November 11, 2017. Leff embarked on his first world tour 'I Met You When I Was 18.' beginning January 18, 2018 in Seattle, Washington, featuring Jeremy Zucker as support act.